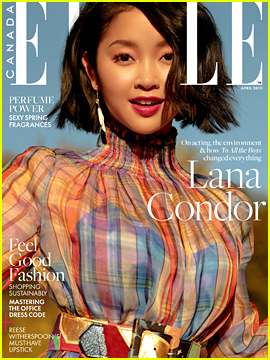 Lana Condor is on the cover of Elle Canada‘s April 2019 issue, out on March 11. Kaitlyn Dever steps out in style for the 2019 Vanity Fair Oscar Party at the Wallis Annenberg Center for the Performing Arts on Sunday (February 24) in Beverly Hills, Calif. 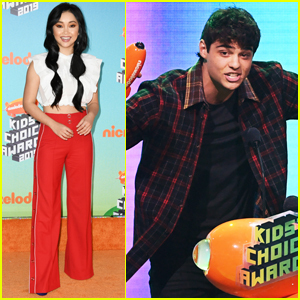 The Beautiful Boy actress was joined at the annual party by Lana Condor and Halston Sage. Cute couple Gregg Sulkin and Michelle Randolph were also seen at the party with Destry Speilberg, Aladdin‘s Mena Massoud, and Stranger Things star Dacre Montgomery. It doesn’t matter if you’re single, taken, or it’s complicated – there’s always room for a little more love in your life. Instead of making big plans this Valentine’s Day, celebrate that warm fuzzy feeling from wherever you are (as long as you have Netflix). Whether you’re in the mood to cuddle with your S.O., laugh out loud with your friends, or cry your eyes out over that carton of Ben & Jerry’s, there’s something on this list for everyone. Bella Hadid and Candice Swanepoel make their way down the runway while walking in the Prabal Gurung fashion show held during New York Fashion Week on Sunday (February 10) at Spring Studios in New York City. Other models who walked the runway included Winnie Harlow and Taylor Hill. 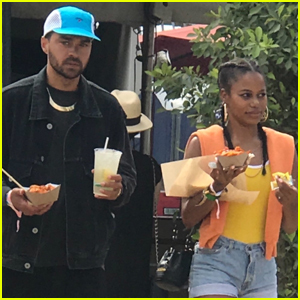 There were several stars who sat in the front row at the show, including Westworld‘s Angela Sarafyan, Famous in Love‘s Bella Thorne with sister Dani, To All the Boys I Loved Before‘s Lana Condor, and Pose stars Billy Porter, MJ Rodriguez, and Ryan Jamaal Swain. “Thank you @troublewithprabal for your energy, your heart, your talent and most of all, your friendship. I am so lucky I am able to watch you work. Thank you for making this magical dress,” Bella wrote on Instagram.